It’s Friday. Don’t ask, just play. This will be the big buzz today: a secret “decision memo” reveals the government set out to access encrypted user data while putting on a good front about its relations with software companies. No information available about the source (or timing) of the memo; wouldn’t it be ironic if this secret memo had been hacked from a smartphone user’s data? The Atlantic looks at the government’s attempt to force Apple to write code for their purposes as conscription. The secret memo bolsters this argument. Looks like Apple may also claim the government is compelling speech. They’ve pulled out the big guns by hiring lawyers Ted Olson and Theodore Boutrous to work on this case. Like they couldn’t have seen this coming? Telcos in parts of the world like Central America and Europe have long charged uncompetitive rates for poor messaging service. Enter Facebook, which snapped up WhatsApp and integrated the messaging app in its social media platform. Facebook members now have a free messaging platform that works almost globally. The telcos are now upset that Facebook has eaten their text messaging profits. ¡Qué lástima! Though I admit I wonder if part if this grousing is really a front for governments who don’t like WhatsApp’s threat to intelligence access via telcos’ messaging services. Too Big to Fail pays very well, for a very few. For Citigroup’s CEO Michael Corbat, it pays roughly $16.5 million this past year, up from $13 million the previous year. Corbat’s raise rewards him for Citibank’s improved fortunes, based in part on cutting less profitable businesses — like exiting retail banking in Argentina and Brazil. Mercedes did not disclose to buyers that its BlueTec technology, a system relying on use of urea-based NOX reduction, emitted NOX levels well above emissions standards at low temperatures. I would not be surprised to see more cases soon against Daimler and its Mercedes brand as BlueTec technology has been used in both passenger vehicles and commercial trucks for most of the last ten years. A “machine learning algorithm”? Imagine this in self-driving cars, hijacked via backdoors by hackers and governments. The ethics behind this technology must be widely debated in public now, before it moves beyond its already-abused role in drone-based warfare. 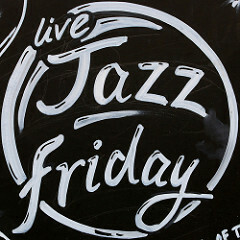 Should be an entertaining Friday; watch for government spokespersons to indulge in a lot of fancy-footwork jazz today.